Even before Colorado formally opens recreational pot shops at the start of next year, people recognize the toll marijuana already has taken on young people in this state and the need to expand access to addiction treatment for them. I am pleased to announce — especially during Red Ribbon Week 2013 — that I am part of a team that recently received grants of $170,000 from the Colorado Health Foundation and $25,000 from The Colorado Trust to implement a protocol called Encompass, in the adolescent substance treatment clinic at Denver Health, where I serve as medical director. Patient referrals to this clinic have tripled since 2009, the start of the boom of marijuana dispensaries in Colorado. That money will be added to another grant of $425,000 from The Daniels Fund. Encompass is the only evidence-based treatment program we know of in the United States that integrates care for psychiatric and substance-use disorders in adolescents and young adults. This integrated approach to healthcare — which is in practice in several other states — is critically important because 80 percent of teens in substance treatment have co-occurring mental health problems, such as depression and anxiety, according to the Cannabis Youth Treatment Study (M Dennis, 2004). Colorado also leads the nation in adolescent suicide. It is very difficult for these young people to get clean when they have an untreated, major psychiatric disorder. Encompass is based on nearly 20 years of clinical research conducted at the University of Colorado Denver, and it has been developed by a team of mental health experts on which I am honored to work. 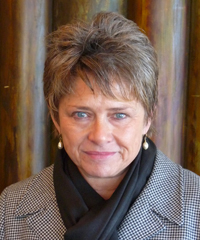 Our leader is Dr. Paula Riggs, a professor of psychiatry at the University of Colorado Denver. Paula’s profound commitment to helping young people overcome addiction is firmly rooted in decades of evidence-based science outlined here, on her professional bio. She also serves on the board of Smart Approaches to Marijuana (Project SAM), a national initiative that advocates for sensible reforms of marijuana laws that stop short of legalizing the drug. Clinical outcomes and research support — including a look at how the program has worked for youth in Seattle. Training for Encompass practitioners and team members is underway. The program should be fully functional within my clinic before the start of Colorado’s 2013-14 school year. To learn more about Encompass and determine whether the program should be launched in your community, please contact Dr. Riggs and the Encompass team.